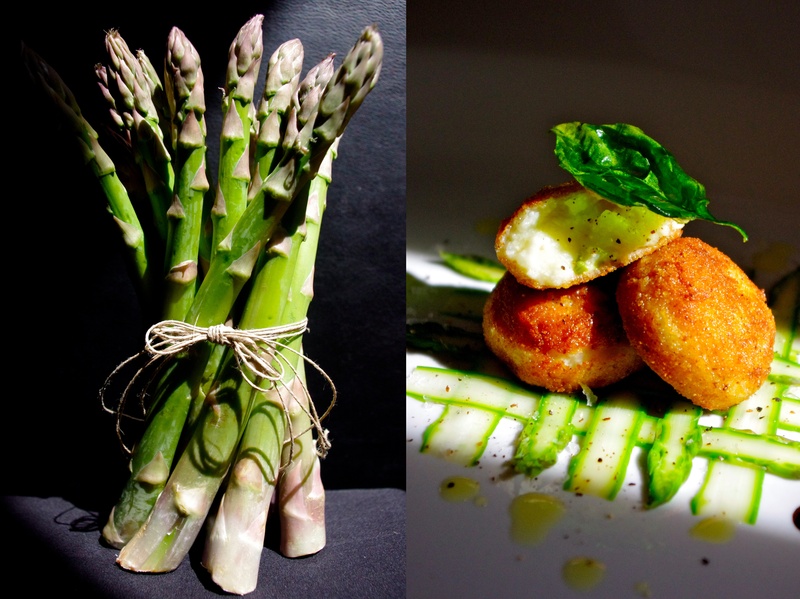 There are so many different ways you can make Arancini! 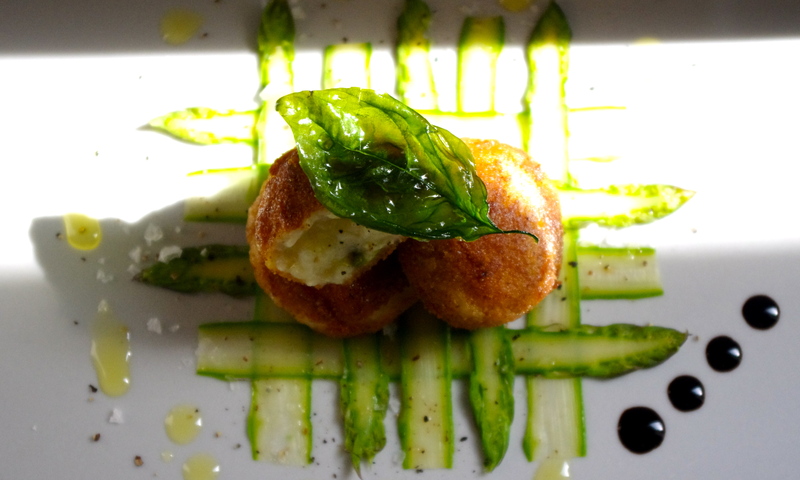 Arancini is fried Risotto boulettes with origins from Sicily. Normally it’s filled with “ragù” which is a meat and tomato sauce, but you can also fill it with mozzarella, peas or other vegetables. The different shapes are also endless, but as Arancini means “little orange” in italian, the most common shape is small round boulettes, just like a mini orange. I make mine with asparagus, but don’t really fill them, I just make an asparagus and white truffle oil risotto that I leave in the fridge over night. The next day I add some more grated parmesan cheese and shape in to little boulettes that I coat in flour, beaten eggs then in good quality bread crumbs and deep fry them. You can serve it as a starter or side dish, or as I always serve it with my catering company – as canapés. Quick, easy and delicious when you have some leftover risotto!